The crowds of the peak safari season are dissipating – and yet wildlife encounters are still improving, as the dry season persists and temperatures start rising. Expect the September bushveld to be dusty and warm, with epic wildlife encounters. Even though you can expect warm days, still remember to pack those scarves, gloves and beanies for the game drives – because colder weather does still occur now and then when cold fronts move through – especially at high altitude and near bodies of water. Read this article for a more complete safari packing list and this article for more about the seasons in Africa. From mid-morning and most of the daylight hours, short sleeves are the norm, with warm daytime temperatures in the high twenties to mid-thirties (Celsius). Pack high factor sun lotion, hats and sunglasses to protect you from that fierce sun. Mosquitoes are not usually a problem, but we recommend that you still take precautionary prophylaxis during this period. The lack of water means that animals gather at whatever sources remain in the parched landscape – especially water-dependant species such as elephants, buffaloes, wildebeest and zebras. And of course, the lions, leopards, wild dogs, cheetahs and hyenas are waiting for these easy meals, and this is a great time to see them in action as they target thirsty victims. This concentration of wildlife near water sources makes their movements more predictable, meaning that your guide will have an easier time finding them for you. Added to that is that many trees and shrubs have no leaves and grasses have dried up into stalks – so it’s a lot easier to see animals than during the lush rainy season. The Mediterranean regions of Cape Town and the Garden Route are entering springtime, but you can still expect some cold and wet weather in September. 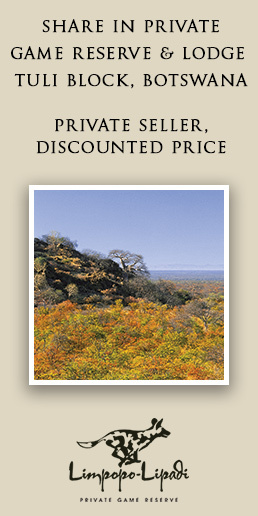 September is a great time to visit the Greater Kruger National Park in South Africa, for all of the above reasons. The national park is busy throughout the year, and we recommend the private reserves on the western edge of the park, where privacy adds to the experience, and excellent guiding increases your chances of spotting the Big 5 (lions, leopards, elephants, rhinos and buffaloes). There are no fences between the park and these private reserves, so the wildlife roams throughout the area. 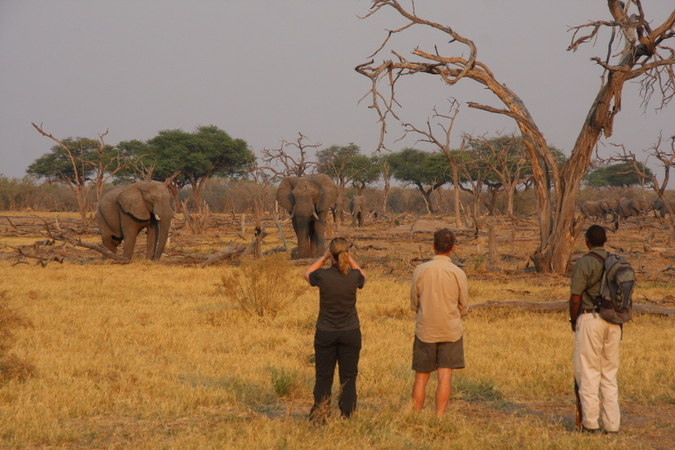 Also in South Africa, we highly recommend a safari to Madikwe Game Reserve in September. Not only is this a malaria-free area, it is also an excellent place to spot the Big 5 and other sought-after species such as cheetahs, wild dogs and brown hyenas. 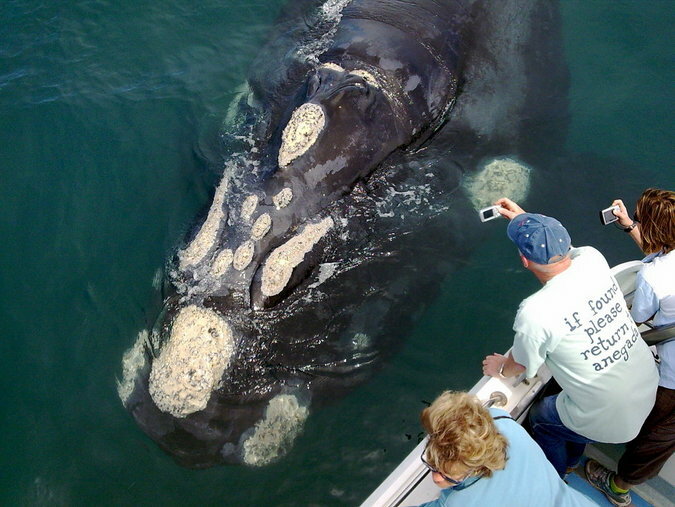 Again in South Africa, southern right whales are involved in their own migration, now spending time off the Cape coast to mate and rest. Whales can be seen all along the coast from Cape Town to the Garden Route, but the best and most reliable sightings are at Hermanus, a seaside town one hour by road from Cape Town. Also near Cape Town, the spring flower season is in full swing, with carpets of colourful flowers all along the west coast – between one and three hours by car from the city. September is also a great time to visit just about anywhere in Botswana. The annual Okavango Delta floodwaters from the Angolan highlands have started to recede, but this water wonderland is still buzzing with life. 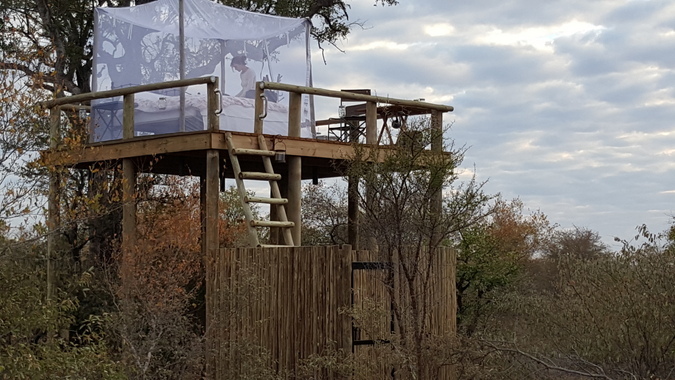 The bushveld away from the flooded areas is very dry and dusty, leading to excellent sightings as wildlife congregates at permanent water sources such as the Chobe River and perennial rivers feeding the northern floodplains. In Zambia, it’s leopard-central at the Luangwa Valley and Kafue National Park is also in full safari mode. The seasonal bush camps of South Luangwa National Park are a particular treat for seasoned safari-goers and walking safari enthusiasts. The Zimbabwe safari season is also in full swing now, with Hwange National Park attracting large numbers of elephants, lions and other species that are attracted to the pumped water and Mana Pools National Park providing some of the best elephant and wild dog encounters on foot. And then there is Victoria Falls on both the Zambian and Zimbabwean sides, open for business throughout the year, and a must for any serious Africa-fanatic. 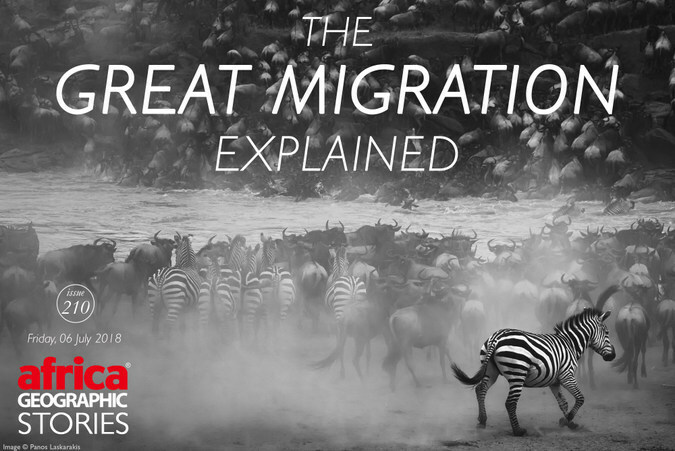 September sees the herds of the Great Wildebeest Migration spread out like flies over the great plains of Kenya’s Maasai Mara, having crossed the Mara River. You can still catch the tail end of the river crossings, but most of the herd are now grazing the nutritious green grass and dodging lions, leopards, cheetahs and hyenas that track them all year round. Pack your hat, because the weather will be hot and dry. Click here for a month-by-month description of this, the greatest show on Earth. In Tanzania, the dry season is peaking, and although the main herds of the Great Migration have crossed into Kenya, the Serengeti still provides non-stop wildlife action. The lesser-known northern circuit reserves of Tarangire and Lake Manyara are well worth visiting, as are the southern circuit gems Selous, Ruaha and Katavi. Trekking for mountain gorillas, chimps and golden monkeys in Uganda’s Bwindi Impenetrable National Park and Kibale National Park and Rwanda’s Volcanoes National Park is now at its best, and the views across the mountains and volcanic lakes go on forever. 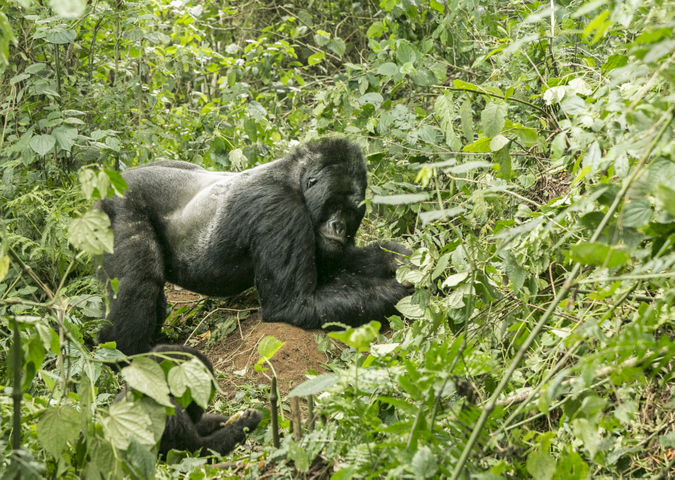 For lowland gorilla trekking, head out to Odzala-Kokoua National Park in Congo and take advantage of the dry season to tick off these gentle giants plus other specials such as bongos, forest buffaloes and forest elephants. For bird-watchers, September is a time of plenty in Uganda and Rwanda. The Albertine Rift endemics are there to be ticked off, while highly sought-after avian jewels such as green broadbill and green-breasted pitta are breeding and easier to locate. Read this article about finding more affordable lodge accommodation based on the time of year: How to find luxury safari lodges at a discount. Search for your ideal safari here, or contact an Africa Geographic safari consultant to start planning your safari of a lifetime. The Africa Geographic team flies with Airlink, who offer multi-destination flight options across southern Africa and a convenient Lodge Link program, direct to popular lodges in the greater Kruger National Park and beyond. ‹ Video: South African rhino doing circus tricks in Russia – what’s next for our wildlife industry?